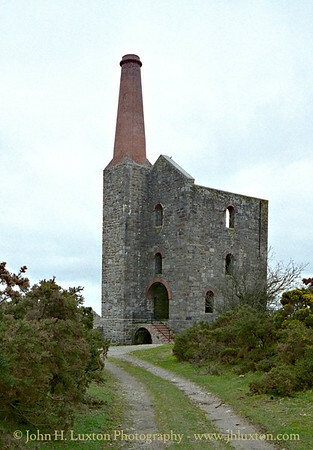 Phoenix United Mine, near Minions in Cornwall was first worked in 1836 as Cornwall Great United Mines, having previously been mined separately as Clanacombe, Stowes and Wheal Prosper mines. 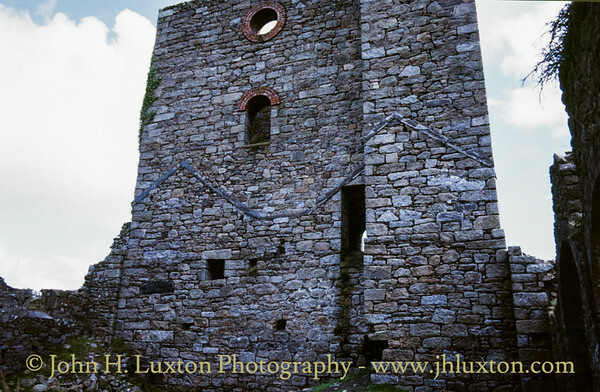 The mine was subsequently bought by James Seccombe in 1842 who renamed it Phoenix Mine/Wheal Phoenix in 1844, finally being called Phoenix United Mine when West Phoenix Mine was incorporated. 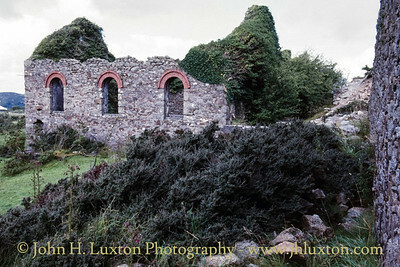 The mine originally extracted copper, the 1850s being the mine's peak production of the metal, with a work force of 130. 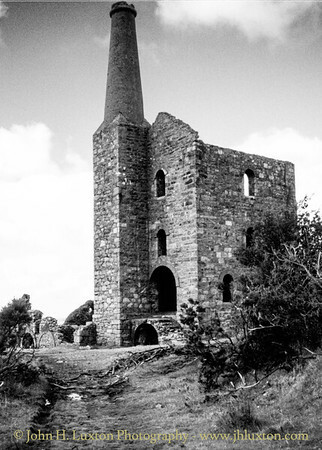 By the 1860s the copper reserves were diminishing but consultant mining engineer, William West, bought a controlling share in the company and equipped the mine to extract tin in 1864 after samples showed evidence of tin deposits. By 1865 the work force had expanded to 460, continuing to 600 by the 1870s. 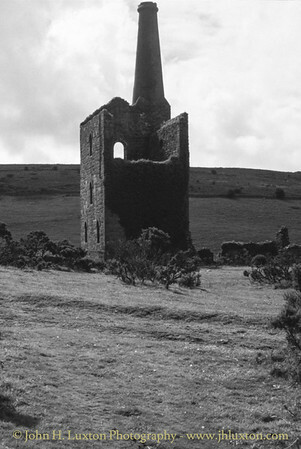 It used the Liskeard and Caradon Railway to transport the ore away and supply the mine with coal. 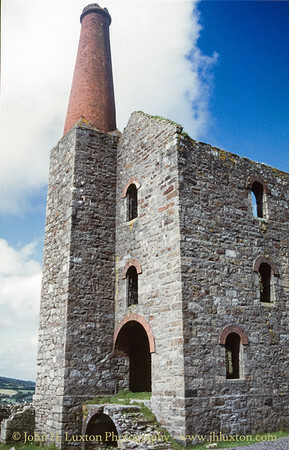 The Prince of Wales engine house seen here was built in 1907 over the Prince of Wales shaft - incidentally sunk to a depth of 1200 feet (200 fathoms). 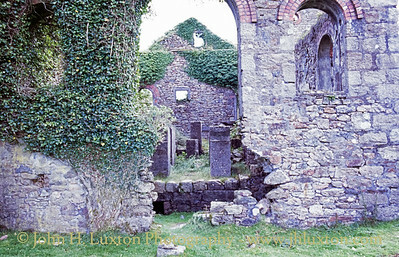 It has an unusual square base to the chimney. 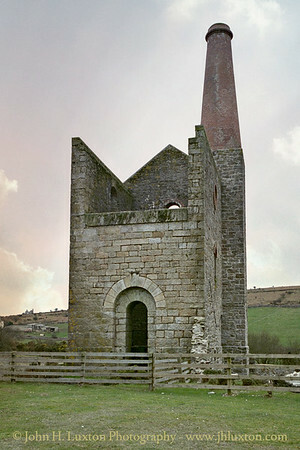 It housed a 80" pumping beam engine - the last to be built in Cornwall by the world-renowned Holman Brothers of Camborne. 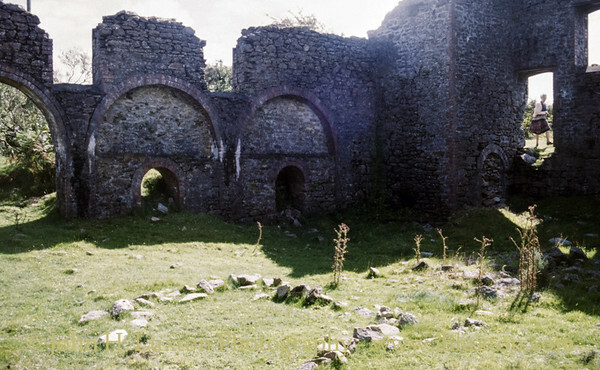 It was built in a disastrous attempt to rework the old rich lode from previous years but in its seven years of operation it recovered only 95 tons of black tin. 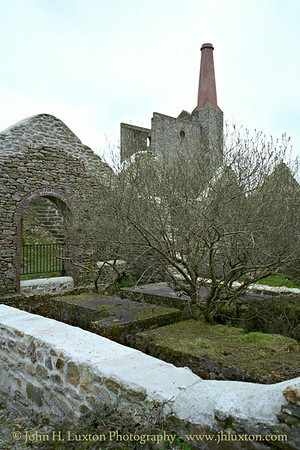 The mine finally closed in 1914. 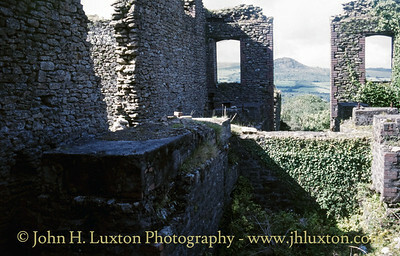 The scrap man finally arrived in 1935 when hope of reopening the mine had gone. 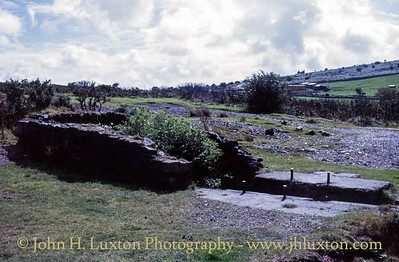 In the 1990s the site has been tidied up, the building remains consolidated and made safe for visitors. 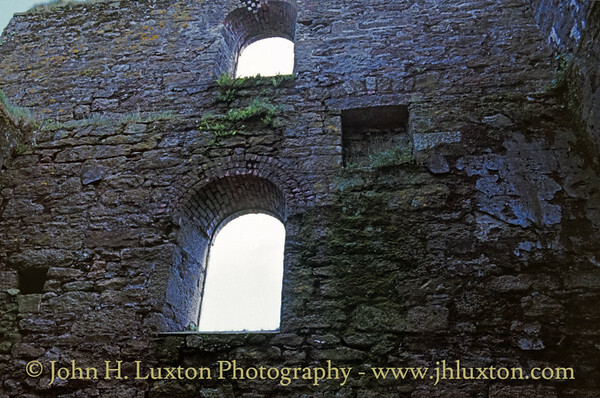 HRH Prince of Wales / Duke of Cornwall visited in 1994 and unveiled a plaque commemorating his visit inside the engine house. 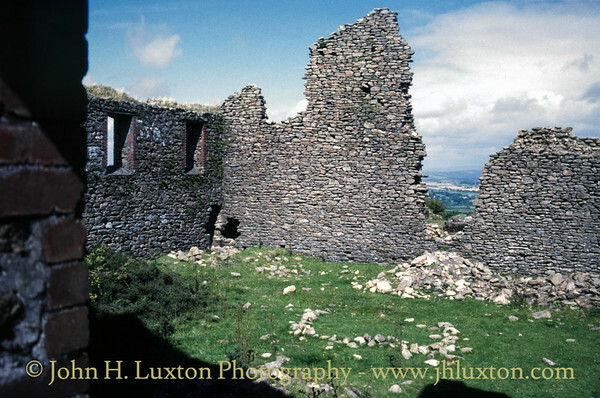 Views of the mine after consolidation / conservation work had been undertaken on the mine site in the early 1990s. 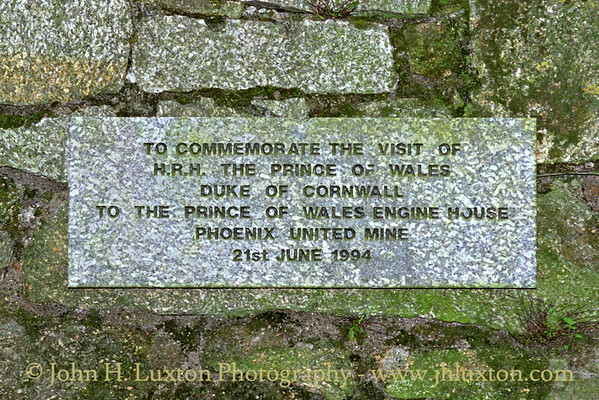 A plaque was placed in the engine house to commemorate the visit of HRH Prince of Wales, Duke of Cornwall on June 21, 1994. 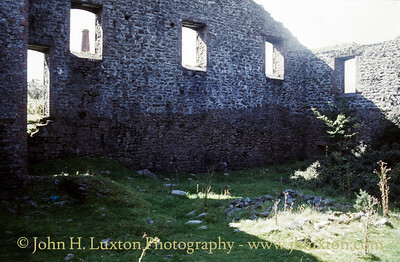 Prince of Wales 80" Engine House Bob wall viewed from the interior. 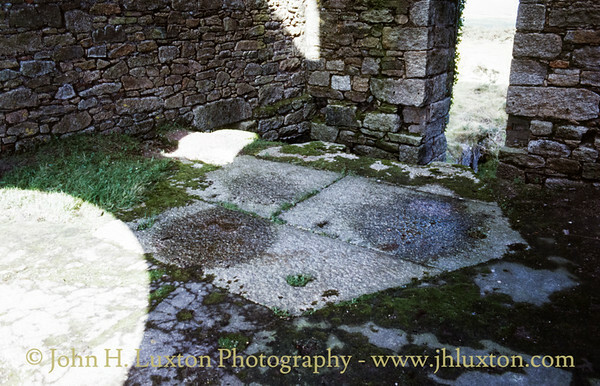 Prince of Wales 80" Engine House - Cylinder plat / bedstone. 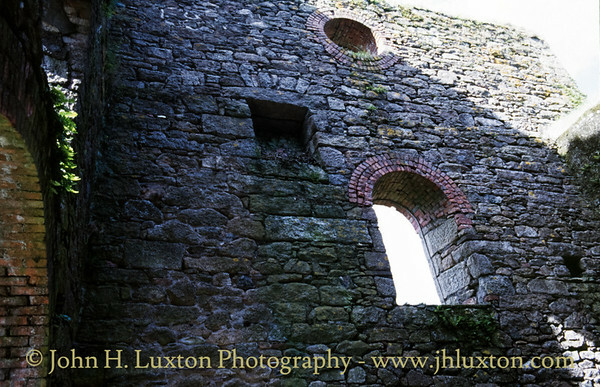 Remains of the boiler house alongside the pumping engine house. 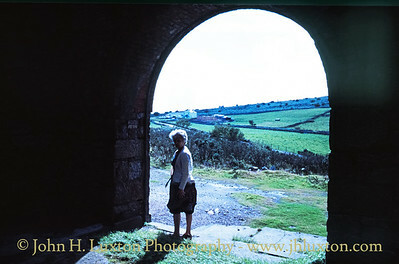 My mother, Elsie Luxton, stands in the main doorway of Prince of Wales Engine House. 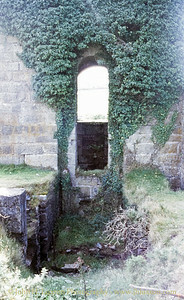 It would have been through this doorway that the massive 90 inch cylinder would have been brought in to the engine house. 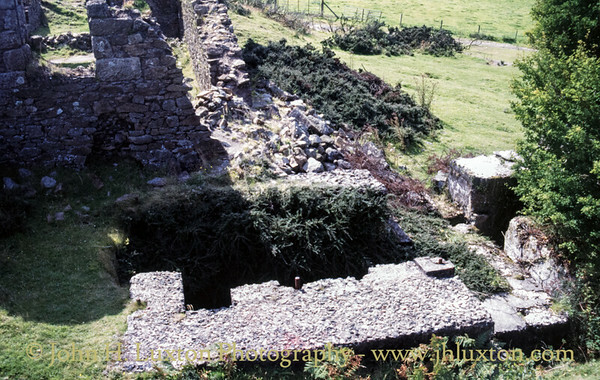 Prince of Wales 80" Balence Bob pit and footings. 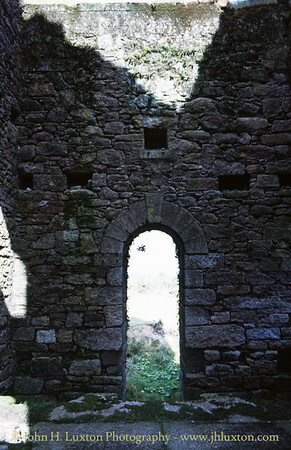 View of the bob wall and "Prince of Wales" shaft. 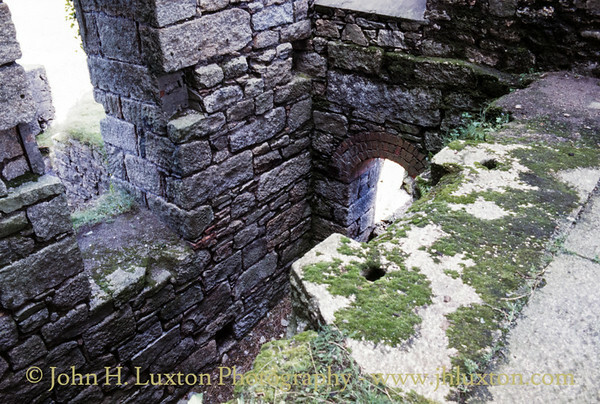 Whim engine house and footings for the Holman built whim (winding) engine. 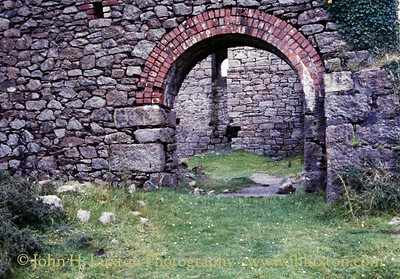 Prince of Wales boiler house entrance archway.